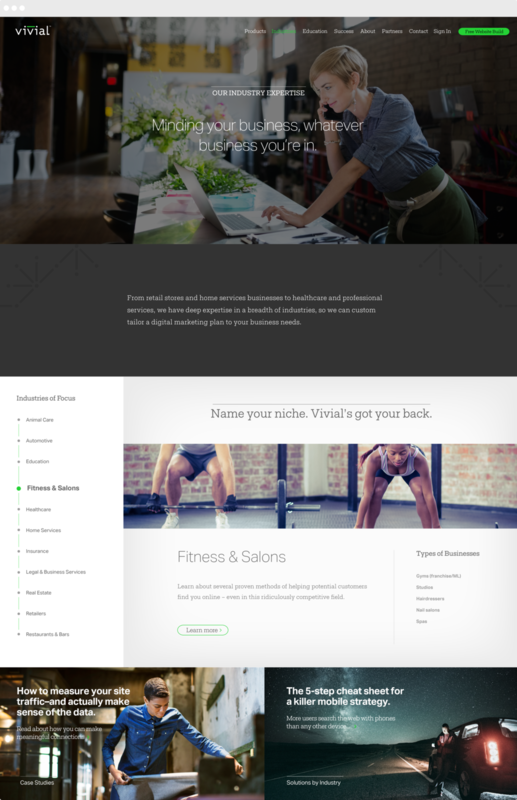 Vivial is a marketing tech company offering a full range of customer engagement tools to help businesses grow. 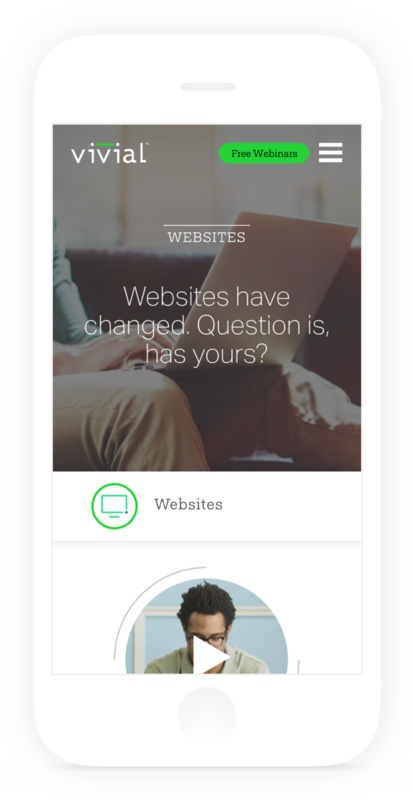 These tools help to enhance the way businesses connect with their customers, build loyalty, manage content and track results. 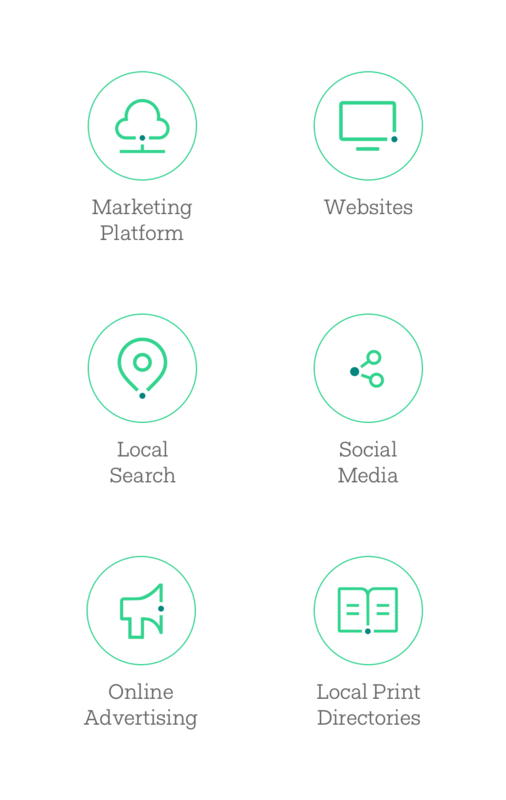 From small businesses to larger enterprises, Vivial helps businesses of all types increase their visibility and ultimately their profit. 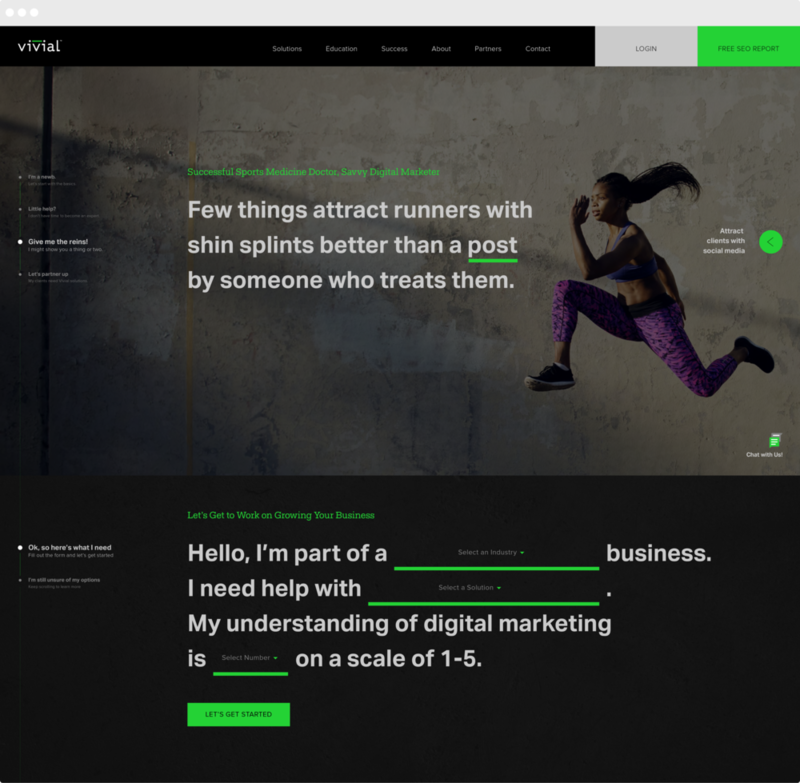 Vivial needed to restructure their site in a way that would help business owners, of varying degrees of digital savviness, distill the wide range of services and find the perfect solution for their companies. 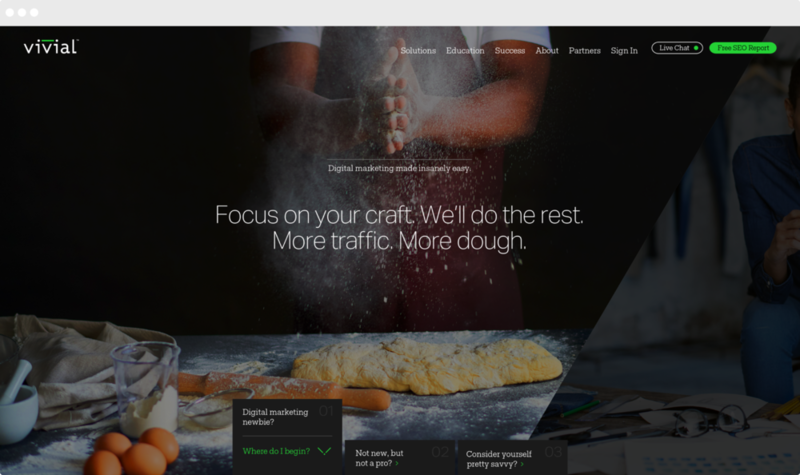 My goal: Redesign the site to provide a unique and relevant experience for each type of business owner.